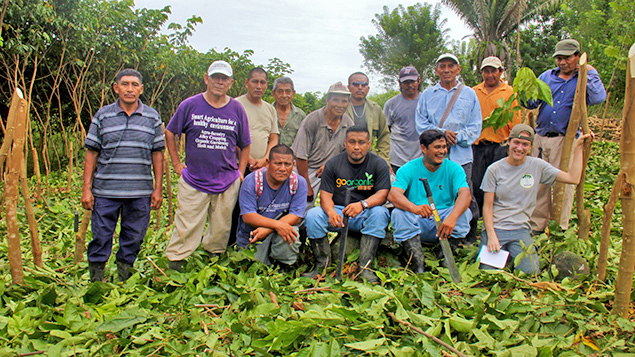 Thirteen farmers in southern Belize made history as they pruned their first plots of Inga edulis last week. 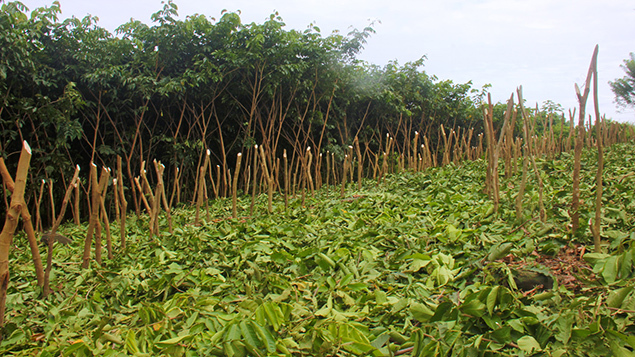 The farmers are using a new farming practice called Inga alley cropping, in which Inga trees, locally known as bri-bri, are grown in rows alongside annual crops to control weeds, improve soil health and reduce the use of herbicides. Ya’axché Conservation Trust is promoting this new farming technique to address the many challenges faced by farmers in southern Belize. 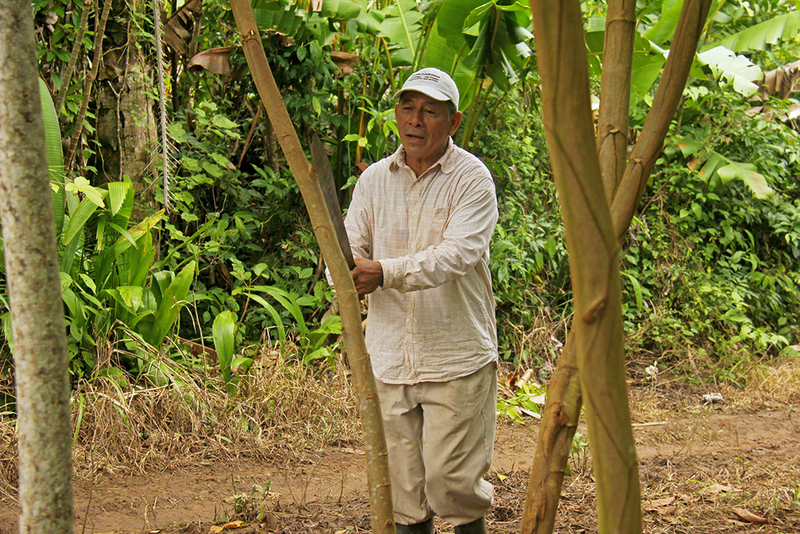 Inga alley cropping stems from 20 years of research by Mike Hands at the Inga Foundation in Honduras where this farming system was developed. Over the past four years, Ya’axché has facilitated exchange visits for farmers from Toledo to see the farming system firsthand. Ya’axché has provided training workshops, Inga seeds and young plants to 17 farmers who are pioneering the establishment of Inga alley cropping in southern Belize. 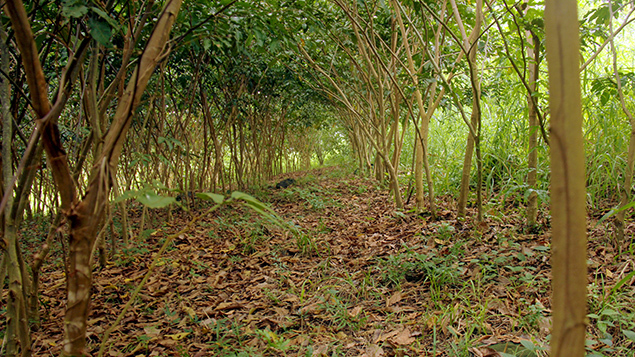 The species used in this new farming practice is Inga edulis, which grows in the forest to about 30 meters in height and 60 centimeters in diameter at breast height. The branches form a broad, flat and moderately dense canopy. The fruit pods, up to 1 meter in length, contain black seeds that are cushioned by a juicy pulp. Farmers plant Inga edulis in rows next to their crops so that the nitrogen-fixing trees, like the mucuna beans, improve soil fertility. The trees create a blanket of weed-suppressing mulch, protect soil from erosion, keep soil moist and reduce the need for costly herbicides, pesticides, and harmful fires. In the alley cropping system, the trees are pruned yearly at chest height to prepare the land for planting annual crops. 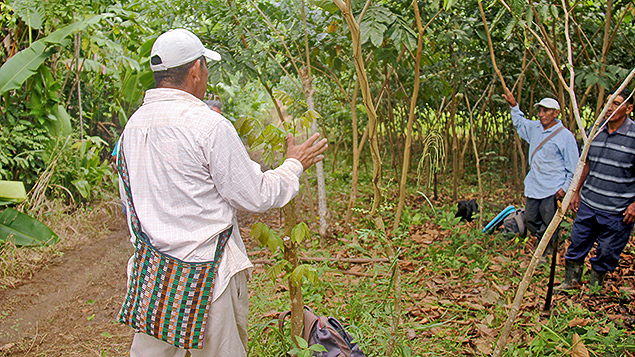 The farmers participating in the first historical pruning of Inga were impressed to see how effectively the mulch controlled weeds and to experience how fun and easy the preparation of land for cultivation was. Ya’axché Conservation Trust has been empowering communities and conserving wildlife in southern Belize since 1998. Much of the organization’s effort has focused on promoting sustainable farming practices. With the Inga alley cropping system, farmers will be able to plant corn, beans, peppers, pineapple, spices and even vegetables for up to 20 years on the same plot of land.